South African Air ( SAA ) wants the ammo in a hard plastic case/LOCKED and with your name on it. Use a plastic handgun case and put ammo in this in your rolling duffel/checked bag. So when you leave home have your ammo case locked in your checked baggage (Ammo may NOT go in gun cases). Ammo may weigh up to 11 lbs per person. Going over to Port Elizabeth (PE) you are supposed to have your ammo in your checked in bag. On the way back home they like you to check it separately from PE to Joberg, then in Joberg going back to the US, they like it back into the checked in luggage again. But TIA ( This Is Africa ) - rules change , so please check with airline or your travel agent for latest rules !! Some airlines may charge you for an extra bag if they want your ammo out of checked bag and you already have your max number of checked bags. TIA !! British Airways is one such example. TSA rules state that your guns cases must be locked. 1. You must declare all firearms to the airline during the ticket counter check in process. 2. The firearm must be unloaded. 3. The firearm and ammo must be in hard sided containers. 4. The containers must be locked. A locked container is defined as one that completely secures the firearm from access by ANYONE OTHER THAN YOU. RHS suggest you take a copy of the TSA rules on firearms with you. Go to www.tsa.gov and make a copy of this. DO NOT leave your gun/ luggage until the TSA official says that it is all done, otherwise these people will be searching for you to open the case. IF they can't find you they will cut the lock and your gun will NOT be allowed on the plane. Carry a second lock just in case. You must lock your gun case with YOUR lock, not a TSA lock. If there is one thing we cannot stress enough it is to practice with your rifle before the trip. We are not saying go to the range once and if you can hit a pie plate at 100 yards that's good enough. Go a half dozen times and really practice. Shoot on the bench, lying flat with a bi pod, sitting with a bi pod, standing off sticks etc. Your practice will pay big dividends in Africa. Average shots can be 150 yards and more and your guns should be sighted in 1-2 inches high at 100. Know what your bullet does at 200-300 yards etc. The book "The Perfect Shot" by Kevin Robertson / Doctari, is a must read for Africa- African animals are built much different than in North America. There are 4 items that are a MUST HAVE. 2. Leather gloves, like a pair of work gloves, not the thin shooting gloves. 4. A soft gun bag / sleeve. This is a SA LEGAL must have for your guns while traveling in the truck during your safari. Legally all guns must be in a bag etc i.e. concealed. You should not leave home without these four items. When you are crawling over rocks and thorns on your way to shooting that trophy you will thank us for this. A bi pod is not something we just suggest; it SHOULD BE part of your shooting system. The Harris bi pod is a good one and you will need the one that extends the longest. Expanding Harris type bi-pods on rifles are a must to have but they must be NO shorter than 28 or 30" due to the grass at times being tall. You will be able to shoot lying down or sitting/kneeling depending on the situation. We suggest you take along shooting sticks; we do have them here but if you buy a set of your own BEFORE you go and practice with them this will help. We do recommend the ULTREC TRI POD. The tri pod ensures steady shots. Go to www.ultec.com. ~$100 may make the difference in your shooting. Great product and adjusts to your shooting height. There are many good quality shooting sticks on the market today, invest in a good TRI- POD system whatever you think best for you. Again, the most important is to have a Bipod and Sticks. We recommend a bolt action 4-14/16 power or LARGER scope sighted rifle of minimum .270 equivalent. By South African law semi autos are NOT allowed. The South African legal minimum for large plains game is .270 caliber. Check that you have 2 - 3 pounds trigger pull and not more. The best rifle is your tried and trusted shooter you have killed game with and NOT a brand new rifle. Bring the gun you shoot best. Most hunters bring 7mm , 300 win mag or 3006. There is no need to over gun on plains game in Africa, shot placement is more important than a big caliber rifle that you may “flinch” when you pull or jerk the trigger. We have a bench rest and targets for sighting in when you arrive. Long distance airline travel causes weapon stock & scope screws to come lose, so please lock tight all before your departure. Due to S.A. law NO solid ammunition is allowed. The SA Definition of a solid is FMJ, so No Full Metal Jacket ( FMJ) Ammo is allowed. Ammo that will expand/mushroom is what we want, not a solid type bullet that will possibly go through and hit another animal or a villager 6 miles away. NO semi autos/pumps are allowed and we prefer, from over 30 years of experience, soft point Nosler type bullets, which have proven to be the best here. Any one person may NOT bring in more than ONE gun of same caliber. Ensure the stamp on the back of your ammo matches your caliber (reloads and wildcats are welcome but this must match). 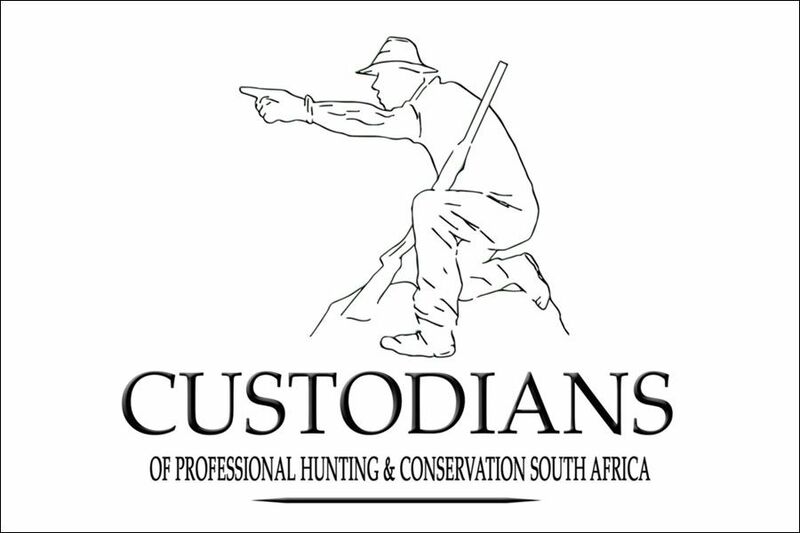 A person of any age may hunt in South Africa ( SA ) as long as youngsters are accommpanied by an adult and they may use the rifles brought into SA by the adult who is with the youngster. An Adult is someone over 21 years of age. If you are renting guns from us DO NOT bring in ammo – it is illegal to bring in ammo without a matching calibre gun. Max 4 rifles per person may be imported into SA. Always check with your travel agent or with Afton if any new changes have taken place before your departure from home as Airlines and Police sometimes make changes at short notice. 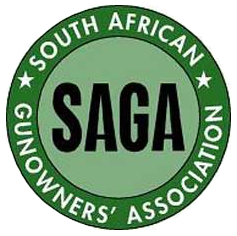 Whenever your Guns are unattended by you they must be locked in a Proper safe - this SA Law is very important, Eg. If you are overnighting at a hotel in SA or renting a car and driving/ touring around you may NOT leave you guns in the car unattended. Ensure your booked hotel will look after your guns while you are out in the proper manner. The terrain where we do most of our hunting is open like you would see out West in the USA. Some of our concessions are more bush than others but overall you could be shooting longer distances than what you may be used to. SO, we suggest you have GOOD optics of the 4 to 14, 4 to 16, or 5 to 20. If you are lying down flat with your bi pod open and are looking at that trophy at 250 yards you will be more confident of your shooting with better optics. Most shots are from the sitting position due to the terrain - standing and prone are the least often used. Picture yourself and your PH / guide stalking that trophy & the cover is just so to where you cannot get any closer. Your PH will always do his best to get you as close as possible BUT there may come the time (black wildebeest, blesbok) when moving any closer will blow the whole stalk. You ask PH "how far"? He’ll tell you it’s exactly 275 yards using a laser rangefinder. Now, you know that your gun is sighted in at 2 inch high at 100 yards and if you remember correct the bullet is dead on at 225 yards, OR was it 240 or 250. Where is the bullet going to shoot at 275 yards? I JUST CAN'T REMEMBER! There is a handy little item that solves all the guess work on your part. Made by 2 companies, Leupold and Pathfinder. 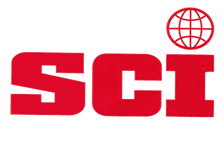 Leupolds model is called the ScopeSmith retractable ballistic chart. The best way to explain it is it looks like a scope mount that has a retractable (like a tape measure) tape that YOU write your ballistics on. This mounts right on your scope with 2 screws and looks like another scope mount. These cost about $35. KNOW THE BALLISTICS OF YOUR BULLET FOR THOSE LONGER SHOTS!!! NB AGAIN: Check your SAPS 520 Gun Permit before you leave SAPS on arrival in Joberg from overseas, that SAPS have filled out the correct firearm SERIAL numbers and other information on your Gun Permit !! !